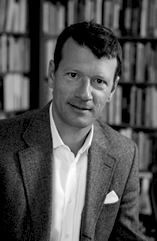 Andreas Wimmer was educated at the University of Zurich, from where he received a PhD in social anthropology in 1992 and a habilitation two years later. In 2015 he became a Lieber Professor of Sociology and Political Philosophy at Columbia University. Between 2003 and 2015 he was professor of sociology at the University of California Los Angeles. He previously served as founding director of two interdisciplinary research institutes: the Swiss Forum for Migration and Population Studies at the University of Neuchâtel (from 1995 to 1999) and the Department of Political and Cultural Change at the Center for Development Research of the University of Bonn (from 1999 to 2002). Both count among the leading European research centers in their respective fields. During his tenure at the Swiss Forum for Migration Studies, he served as advisor to a number of Swiss government agencies and committees. More specifically, he introduced a human capital model into the political debate and thus helped to reform the country-of-origin admission system. During his tenure at the Center for Development Research, he proposed policies to enhance the capacity of the Afghanistan state after the Bonn agreement and to prevent ethno-religious conflict in Iraq after Hussein's overthrow. Unfortunately, the rather somber predictions made in these papers regarding the future political stability of Afghanistan and Iraq came true. Wimmer has also worked as a consultant for international organizations such as the International Monetary Fund, UNICEF, the governments of Germany and Switzerland, and various NGOs. Wimmer received the prestigious Heisenberg fellowship from the German Research Foundation, was Senior Associate Member of St Antony's College of Oxford University, a fellow of the Center for Advanced Studies Berlin, Visiting Professor for Ethnic Studies and Sociology at Harvard University, visiting professor at the University of Paris and the Institute for Research in Humanities of Kyoto University, and a Jenning Randolph Senior Fellow at the United States Institute of Peace in Washington DC. He is an external fellow of the Center for Research and Analysis of Migration of University College London, board member of (among others) the Institute for World Society of Bielefeld University, the Max Planck Institute for the Study of Religious and Ethnic Diversity, and the Foundation for Population, Migration, and Environment, for which he initiated a research program on migration in Turkey housed at Koc University as well as a joint research initiative with Metropolis International. He is associated with the editorial boards of Ethnic and Racial Studies, Nations and Nationalism, and the American Journal of Sociology, among others. Andreas Wimmer joined CReAM as an external fellow in April 2011.